Robert Houston was born in June 1891 at Kilbirnie, Ayrshire. He studied at the Glasgow School of Art and became a painter of landscapes and figurative subjects in oils and watercolours. He was also an accomplished printmaker. 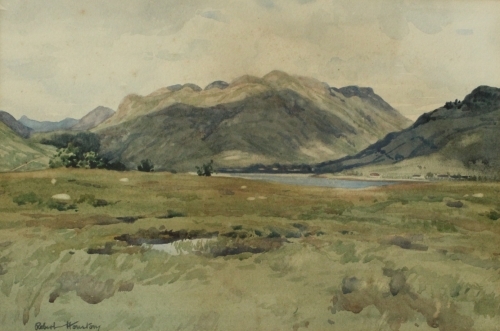 He was elected to membership of the Royal Scottish Society of Painters in Watercolours in 1936.